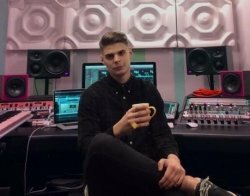 I am a music producer and composer based in Dalston, East London. I have worked with some of the very best in the industry and have spent countless hours perfecting the craft of producing. I work in Logic, Ableton, FL Studio and Pro Tools, and I have a Professional Bachelors Degree in Music Production, Sound Design & Sonic Communications. I'm passionated about music of all genres and would love to help you achieve your own personal sound and expression. I specialize in experimental and electronic music, but I have a broad understanding of genres, and have worked with a lot with genres like hip hop/trap, house, Pop music, RnB, Jazz, Blues etc. I have had extensive experience in studio environments, giving me varied skills and the ability to work with many different types of people and different types of production situations. Personally I'm from Denmark, but I have been living in London for a year working in the music industry. I speak fluently english with a slight accent. Don't worry, it's cute. Together we can create an inspirational environment, where I will provide creative as well as technical input, conceptual sparring and compositional ideas. I charge £30 per hour with a minimum of 2 hours per session. I recommend going one time a week. Let's get in touch if your interested! I have taught music production for 5 years now in Logic, Ableton, FL Studio and Pro Tools, and I have a Professional Bachelors Degree in Music Production, Sound Design & Sonic Communications. I have a home studio where I have my students come by for sessions. It's very chill and down to earth, and sometimes we just spent some time talking about art and dreams. Usually we book sessions every week, and find a fitting time through text or e-mail each week. I'm currently working in the music industry, so I don't have to work nine to five, which gives me the privilege to be flexible with my students.